Asian Books Blog is taking a summer break. We'll be back on Friday, September 8. 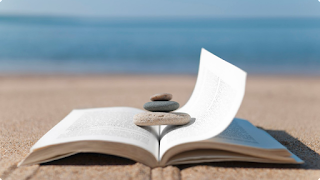 In the meantime: happy summer reading! Asian Books Blog is based in Singapore, a multi-racial city. The majority population is of Chinese descent. There are also large minorities of people of Malay or Indian descent, and of Eurasians. Our regular column Lion City Lit explores in-depth what’s going on in the City-State, lit-wise. 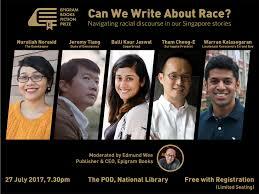 Here Eldes Tran reports on a forum about racial discourse in Singaporean literature hosted last Thursday, July 27, at the National Library, by Epigram Books, a local independent publisher of Singaporean stories for all ages. Eldes is an assistant editor at Epigram Books.